You either love Halloween, or you don’t. I have to admit that I probably fall into the latter category. Now before you get all, “But the candy! The costumes! It’s SO FUN!” hear me out. 1. Let’s begin with the time of year. I love fall– leaves changing, pumpkin everything, crisp air. But if you’ve grown-up in the north, you know the utter disappoint that occurs when you realize it’s 30 degrees and you have to cover-up your adorable cinderella costume with a giant, puffy coat. 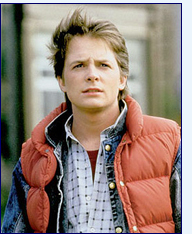 We can’t all be Marty McFly. 2. Speaking of costumes, I love dressing up. I think it’s fun. I enjoy seeing what other creative individuals have come up with. However, it’s stressful if you’re like me and wait until one hour before the costume is needed and then run around the house trying to create a semblance of a costume. 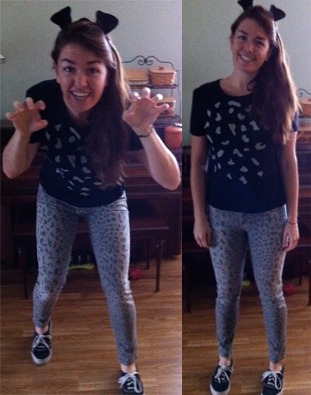 This year’s last minute costume- Leopard! Printed denim, hot glued spots, and felt ears for the win! 4. I really miss trick-or-treating. 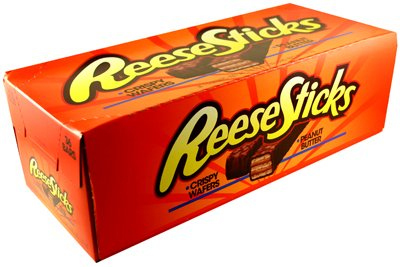 I got to trick-or-treat during the good ol’ days when people could afford king size candy bars and Reese Sticks still existed. 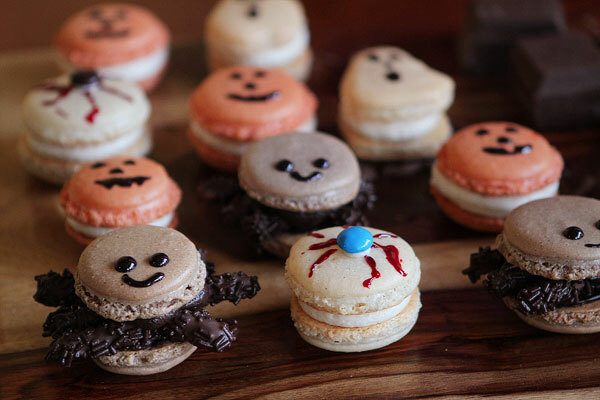 These are the cutest, most delicious things I’ve ever seen. I cannot make these. I’m too impatient. 6. That goes for pumpkin carving too. My grandiose ideas to carve something amazing inevitably turn into lame Jack-o’-lantern faces. 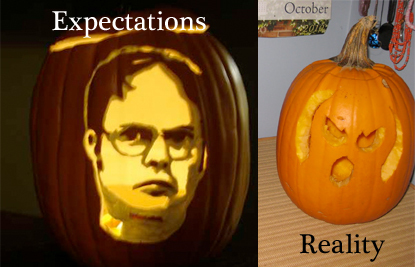 Note: I carved neither of these. 7. People Teenagers who smash pumpkins. Just because mine is trash does not give you the right to destroy it. 8. How do you get your dog to stay in a costume? Giggy is the exception, right? 9. I don’t do horror anything. Ghosts? Possessed children? Zombies? Murderers? Not my cup of tea. Are there any Halloween rom-coms? I could go for that. 10. And last, but not least– Halloween on a Monday?! I swear I’m not a total Halloween Scrooge. I’ll give the children their candy. Except the Reese Pumpkins. Those are alllllllll mine.